In movies, TV series and other forms of media, games with robots were slow, clunky and had a lot of AI voice overs. Garrison: Archangel breaks the norm by having fast combat with construction in mind. It is marvelous. This review is based on a review code provided by Indigo Entertainment. 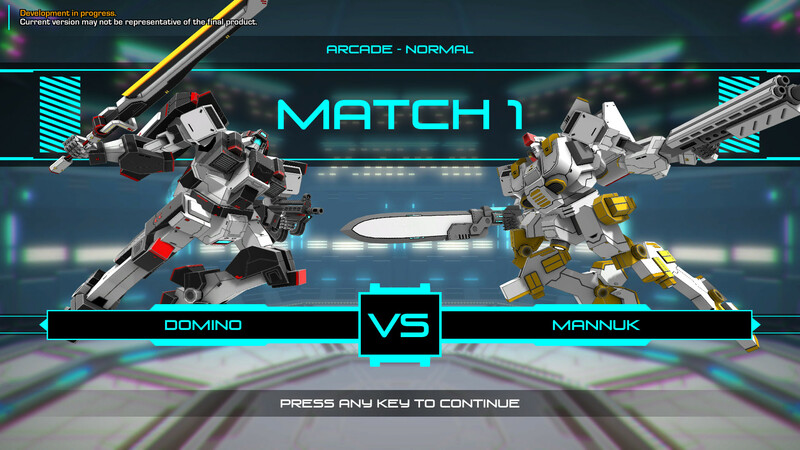 Garrison: Archangel is a fighting game with highly-customizable robots as characters and it’s wonderful. Developed sometime in 2016 by a small team of developers, it is now available as Early Access on Steam. The game really focuses on what it is good at, a fighting game. What makes it even better is how complex it is. Normally, you pick a character and learn the moves that a character has. With Garrison: Archangel, it is different. There are many things to consider. 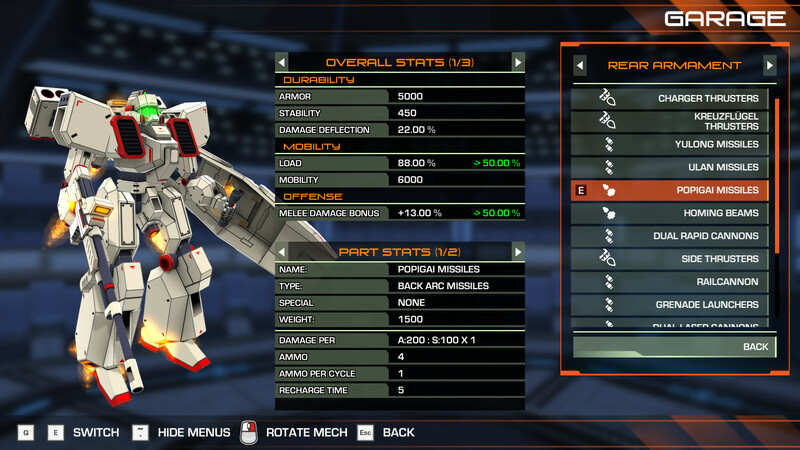 You are able to choose several parts for your mech, fully customizing it to your own style. The mechs are called Archangels. Pretty similar theme to Angels from Neon Genesis Evangelion, right? There are required parts like the head, torso, arms, and legs. You can mix and match any of the sets available. One feature that the game has is the Boost system. This refers to how long your Archangel can dash or dodge enemy attacks. There are some weapons that consume Boost. This makes boost a really nice tool to manipulate in combat. The first thing I did was to boost up really high and use a special. Justice does reign from above! I learned the hard way that using up all of your Boost will put you into Overload. This means that you cannot jump, dash or dodge. You will be left at the mercy of your opponent. Not to worry. 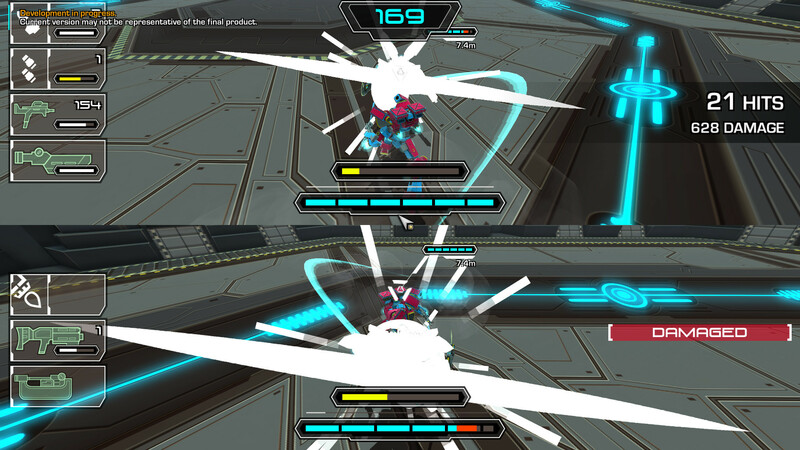 Boost keeps regenerating during combat. Hopefully, you can live long enough after Overloading so you should be fine. Aside from the required parts, you are able to choose your left and right main weapon. You can choose between an array of swords, scythes, lances, shields and machine guns. There is also the shoulder armament, where you can have more missiles, cannons, a rail gun or more armor for your Archangel. Next up is the internal part to your Archangel. It brings your whole build together and provides a little bit of help to balance out the stats that you have chosen. I almost forgot, you can paint your Archangel! I love the attention to detail on how the boosters and fusion blades light up. The halo targe looks really good in combat as well. The developers even have a fashion contest that’s going to be out for April and I’m looking forward to what people come up with. I find it absolutely stunning that construction is half the battle. Not only will you need your quick reflexes, it always has the player in mind. It gives the player the freedom to add parts to his or her play style, just the way the player wants it. I think that having this feature is liberating in its own way. Don’t let the complexity bring you down! There are mechs available that are ready-made so you can jump right in and showcase your quick reflexes and fancy moves. It is still in Early Access so you have the shell of the game given to you. There is no real single player other than battling random AI at different levels of difficulty. I hope that the lore would be more fleshed out soon, along with the Single player. I would also want better visuals like charts rather than just numbers because they can become daunting at first. One thing I’d like to see added is that during customization, the parts that we are editing would light up so we know what section we are already on when we’re customizing. The developers hold weekly videos and are very open towards the community on what it wants and where they are heading. It’s a fun game with so much promise. Online multiplayer is also available and it is fun. I can’t wait for the great things the developers has promised. In the coming months, there will be a Horde Mode, Survival Mode and more weapons. I’m certain that the great things that the developers have promised and the community for Garrison: Archangel will help convince you about how great the game is.